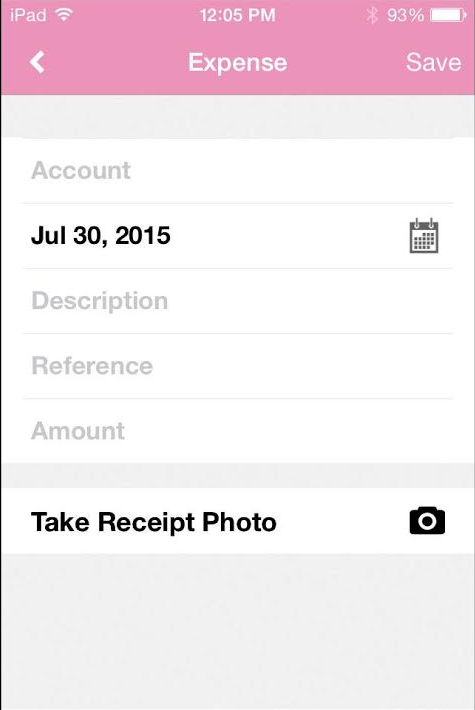 You can add expenses on the go with the Pink Office iPhone app. 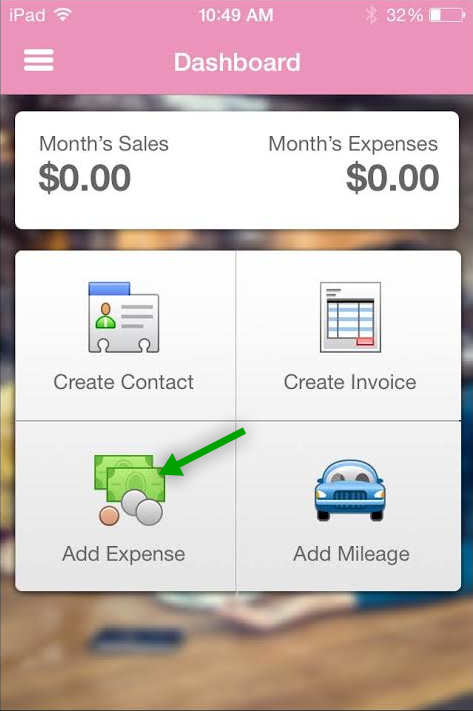 From your Dashboard screen, click "Add Expense." Next, begin entering information about your expense. (To add more expense accounts, go to your account at www.pinkoffice.com and click the "money" tab.) 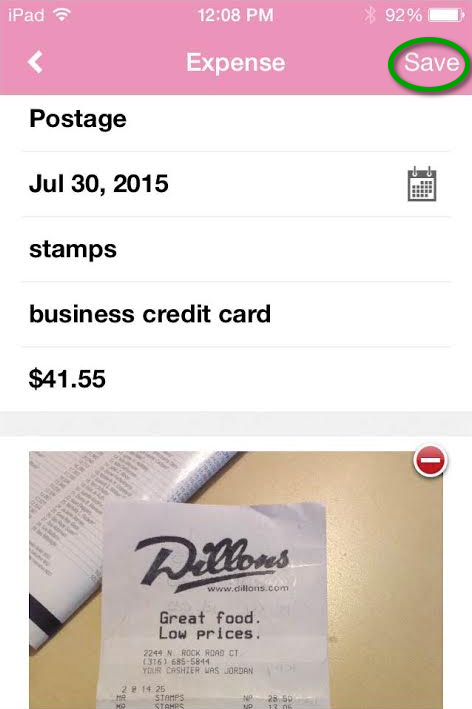 Click the camera icon to take a picture of your receipt which can also be viewed for future reference online. After all of your information is complete click "Save."